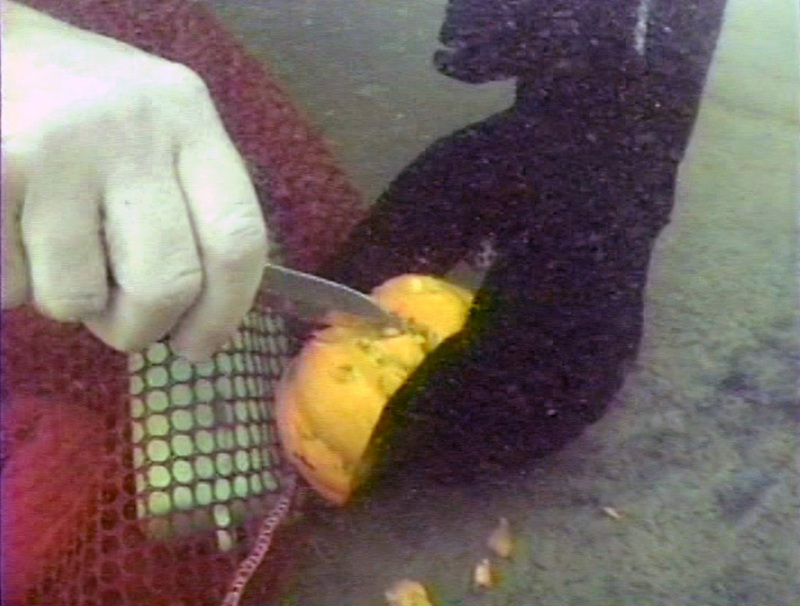 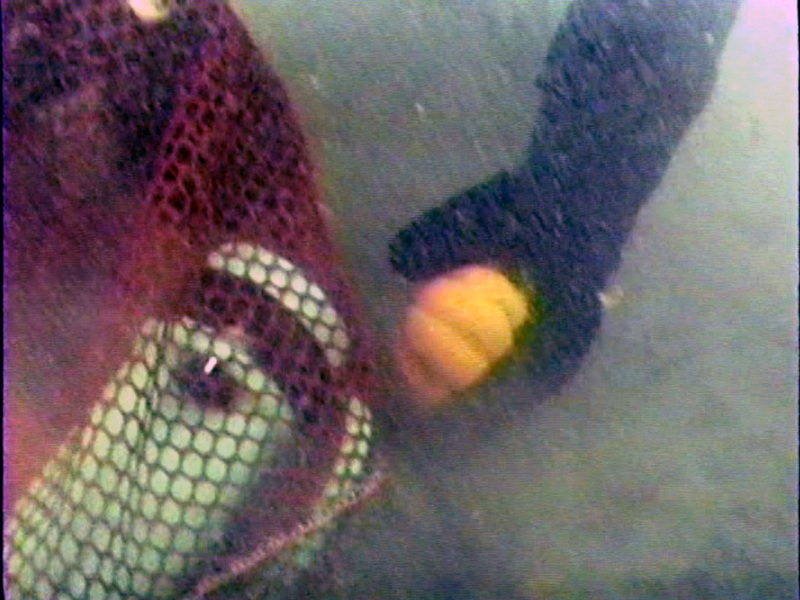 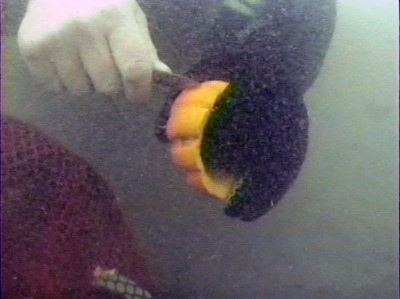 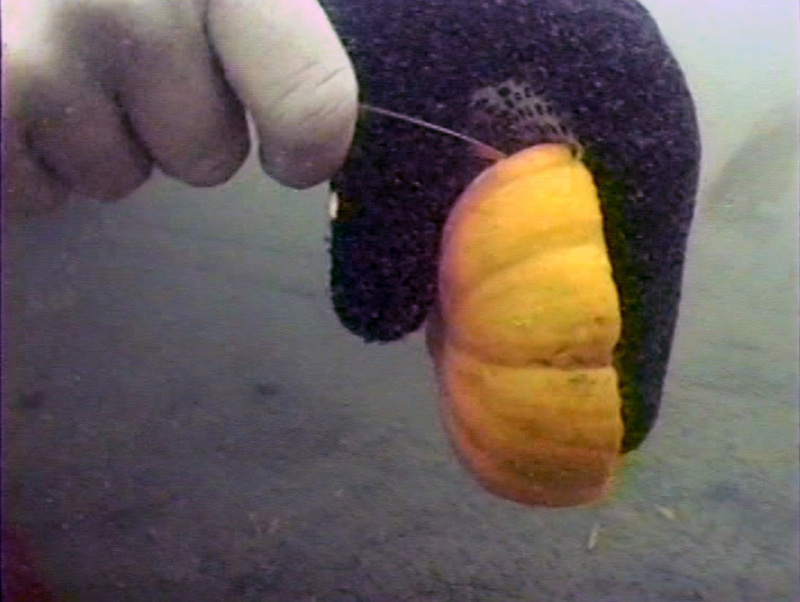 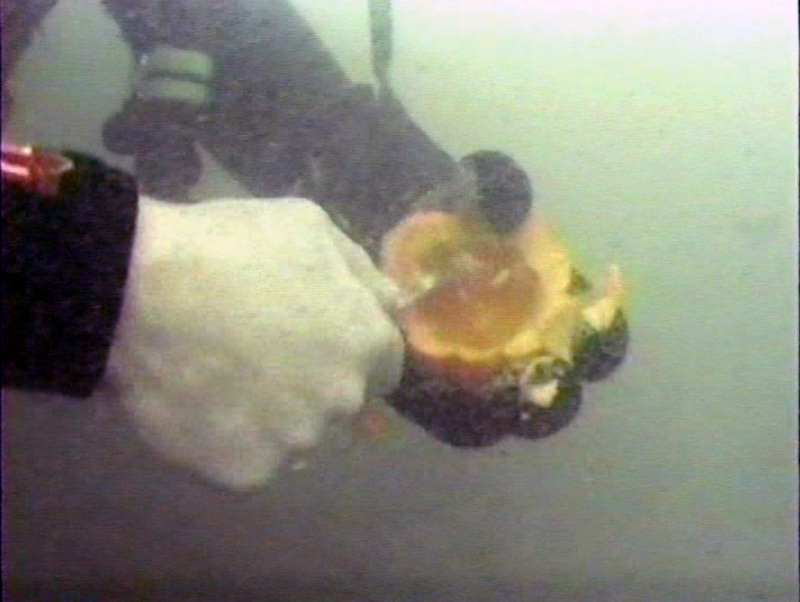 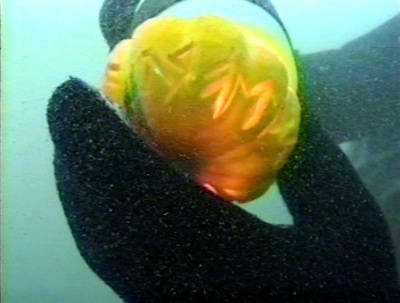 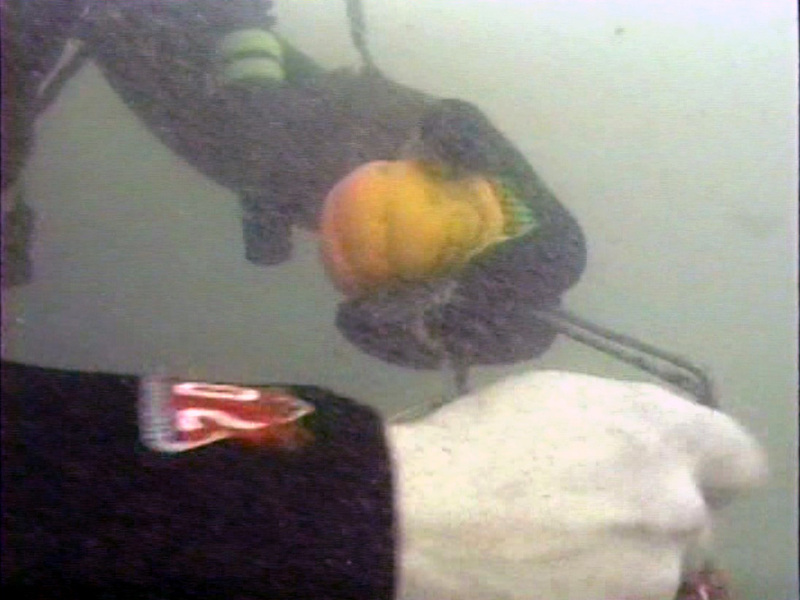 Around Halloween, divers in many places take to the water with gourds of all sizes shapes and configurations, armed with extra weights (pumpkins float!) 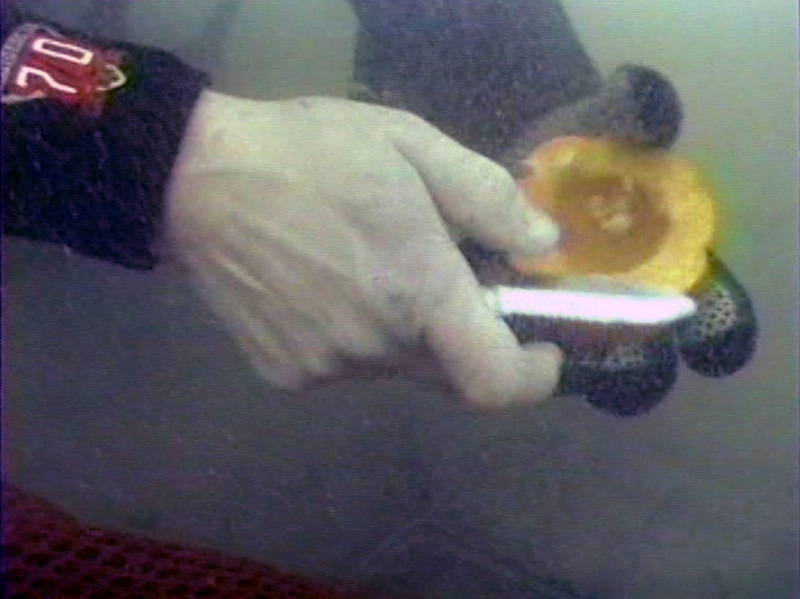 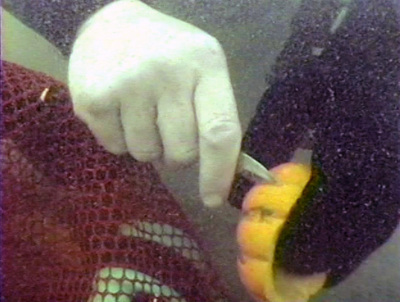 and sharpened dive knives, they construct fantastic creatures of the deep, all before their air runs out, or the 33 1/2 degree water infiltrates their wetsuits. 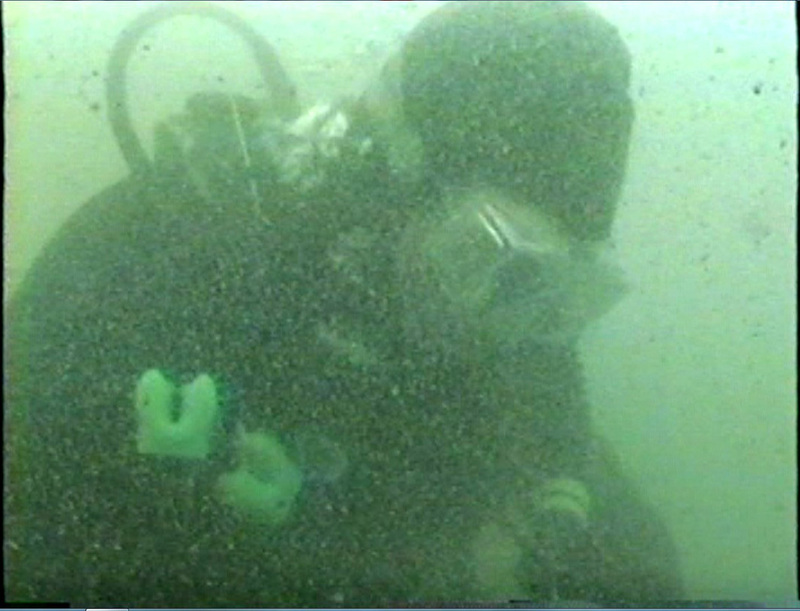 Here's one of my attempts, at Bainbridge Sportsmen's Club (an old limestone quarry set up for scuba and snorkelling). 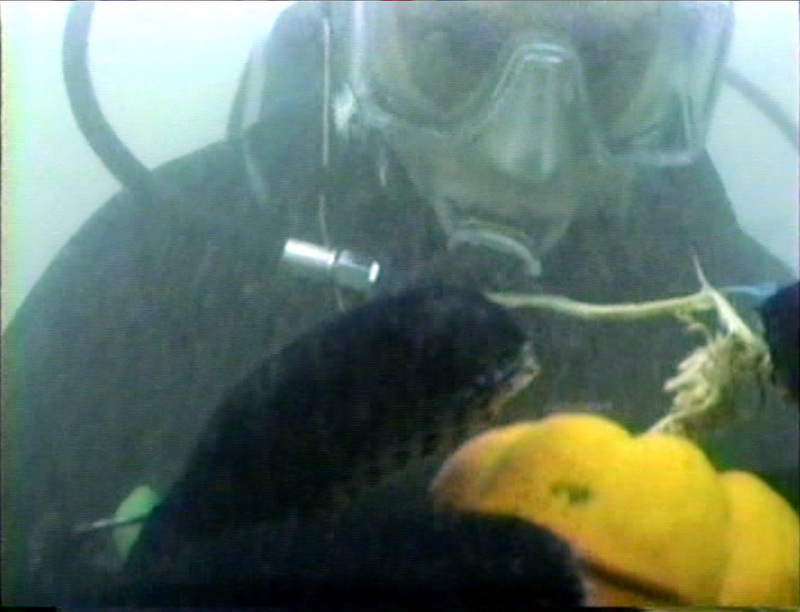 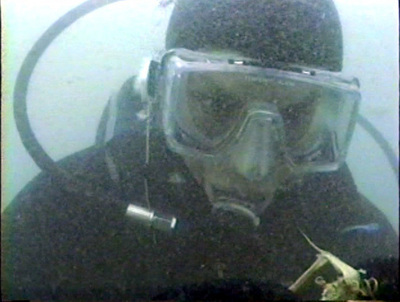 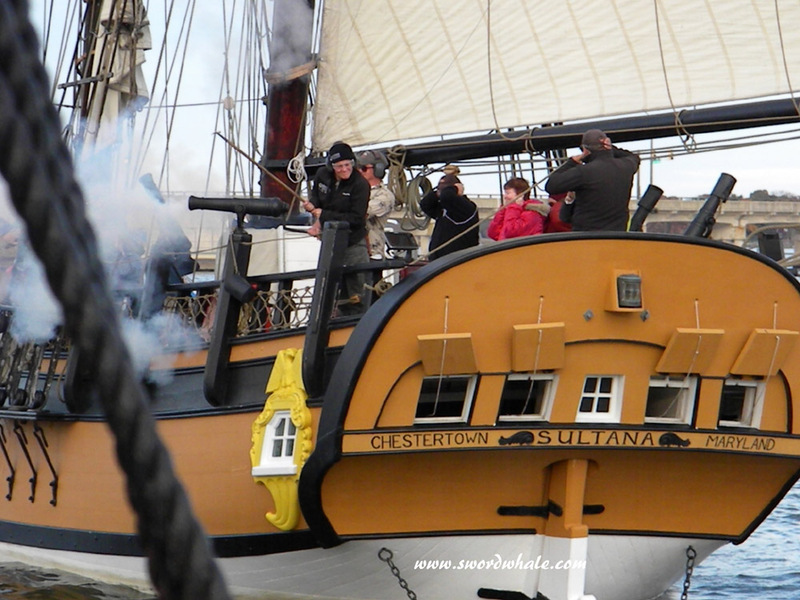 My dive buddy and Honorary Big Brother Dave Tristan caught this on video and did screencaps. This freshwater quarry has bluegills (and other sunfish), bass, catfish and maybe some pike, as well as freshwater jellyfish in certain seasons. 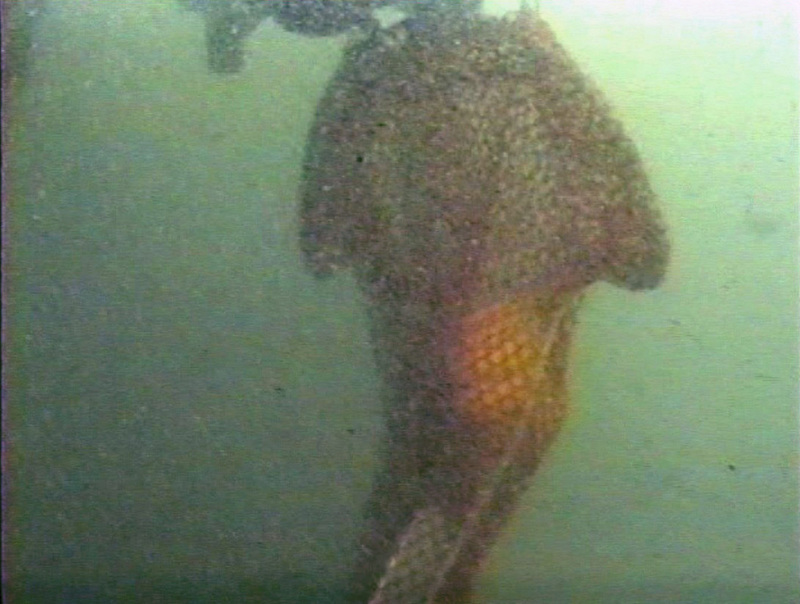 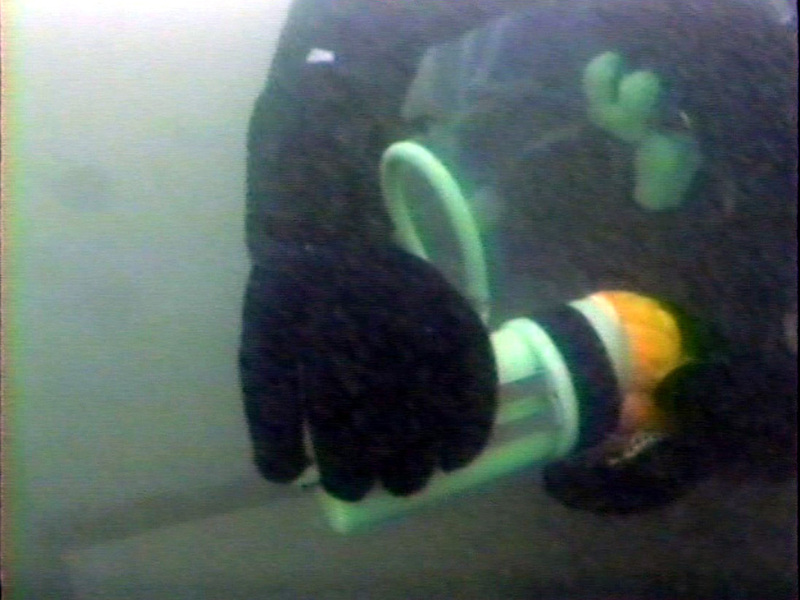 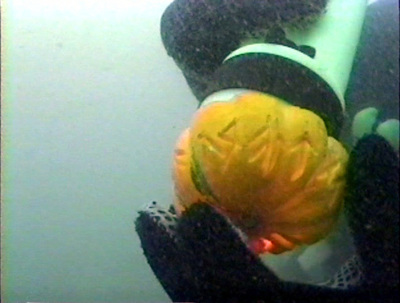 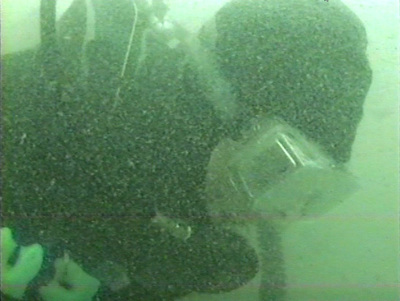 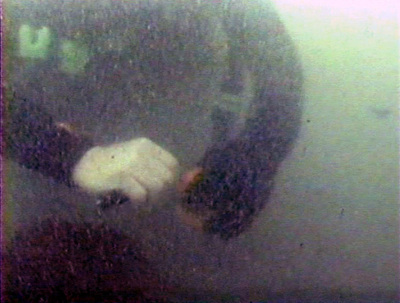 The visibility ranges from twenty or thirty feet to inside the mask (depending on how many newbies were in the water creating siltouts). I've color-corrected these slightly. 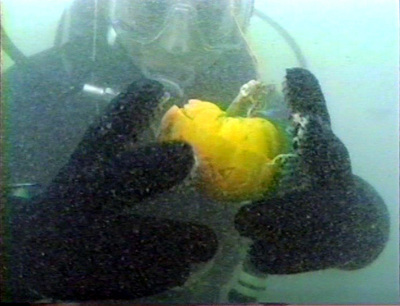 By twenty feet, (this was carved at fifteen to twenty feet down), anything red is now brown or black, and all is lost in a green haze. 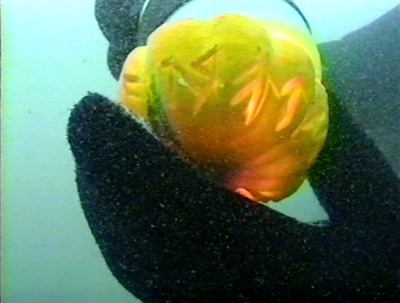 The Gourd of the Rings is a terrible pun, my attempt to carve a bit of Dwarvish runes from the opening of J.R.R. Tolkien's Lord of the Rings. 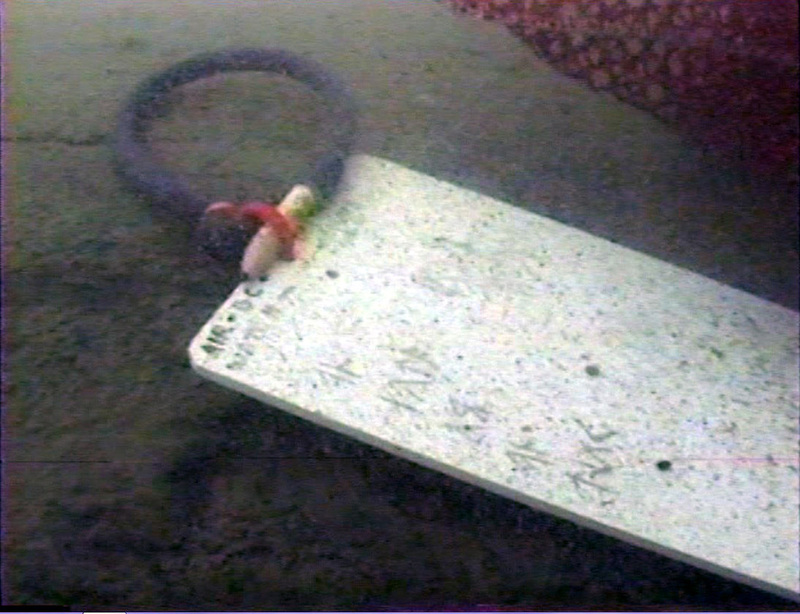 You can see the dive slate that I wrote the runes on, so I'd have reference. 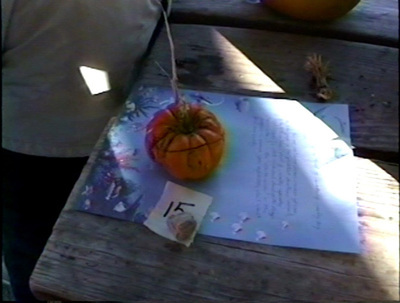 Sadly, we didn't get a good shot of the finished gourd. 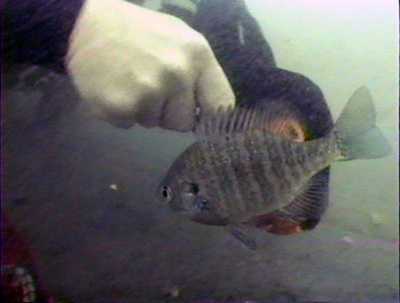 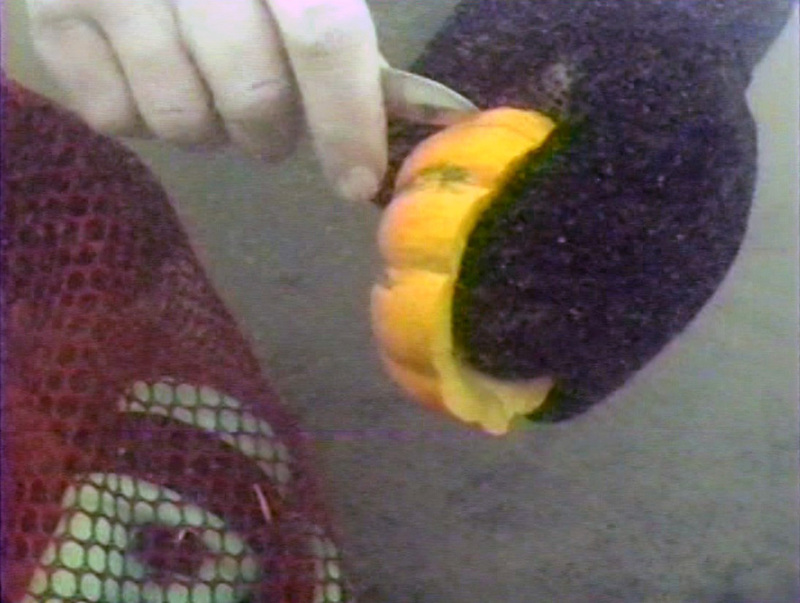 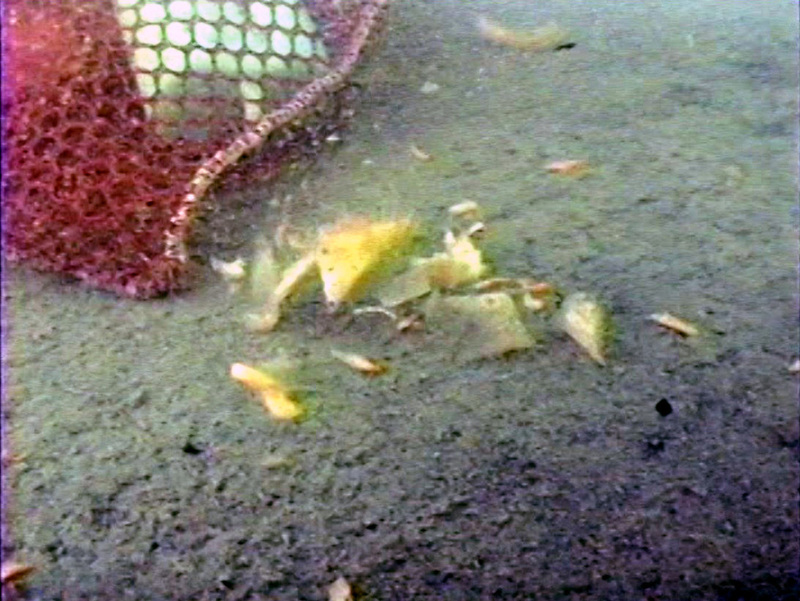 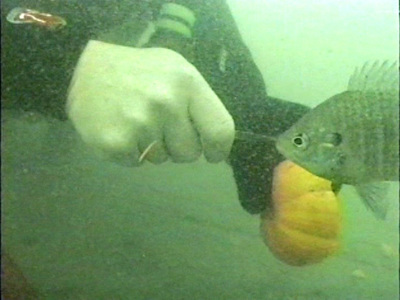 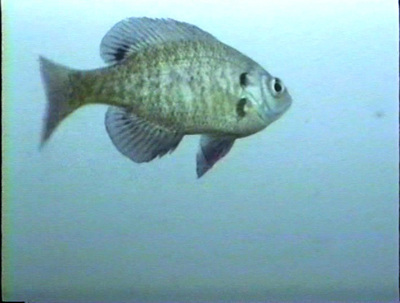 The bluegill in the pic is likely the one that tried to eat the bits of pumpkin that floated off (then spit them out). He also tasted my finger. good thing they don't have teeth. 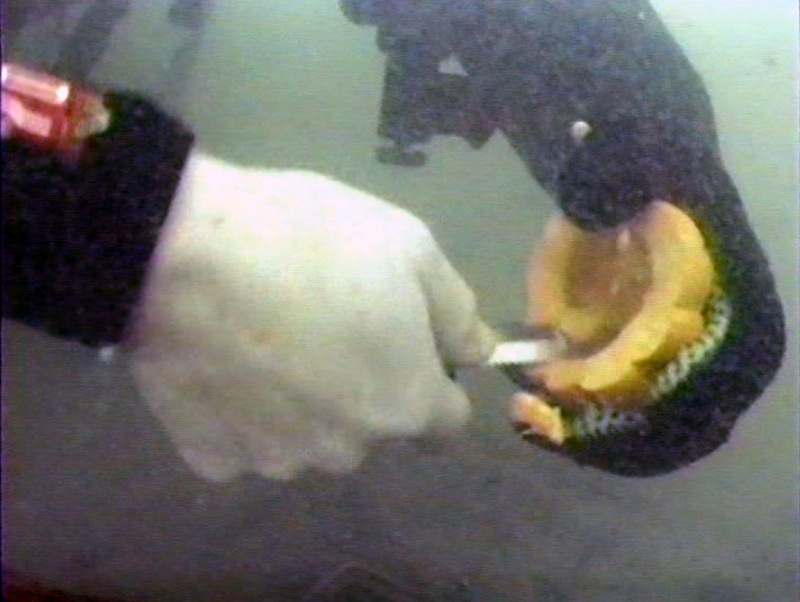 They do like hot dogs and cheese whiz.